N8tr0n and I missed Z-cakes hard while she was staying with her grandparents last week. I picked her up on Friday morning and the rest of the weekend was pretty much all about her. Of course, if you've been reading this blog for like, two seconds, you know that every day is pretty much all about her. Which is exactly the way I think it should be. On Saturday we went to Burley to celebrate my uncle's birthday. It was fun to see a lot of my cousins that I don't often get to see. After that we stayed at my parents' house and Z played a million games of Hi-Ho Cherry-O—one of my all time favorite games as a kid. Did you play Hi-Ho Cherry-O when you were growing up? Do your kids play it now? 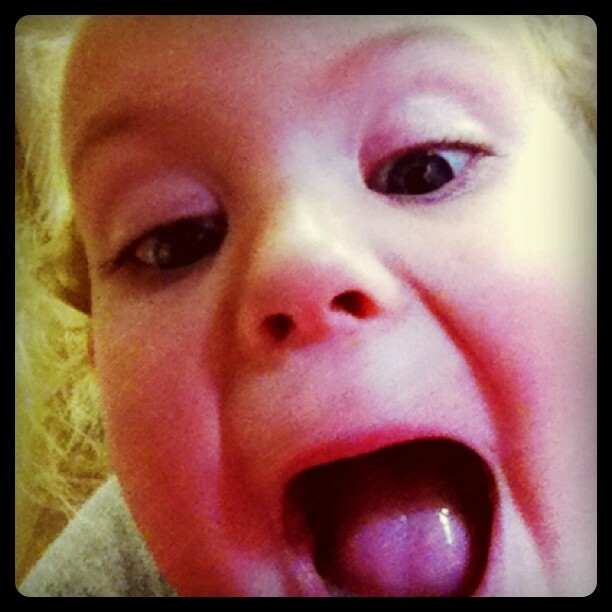 At some point Z-cakes grabbed my ipod and went all crazy with the Cheez Wiz. I have approximately 200 pictures like this one on my ipod. I am not exaggerating. 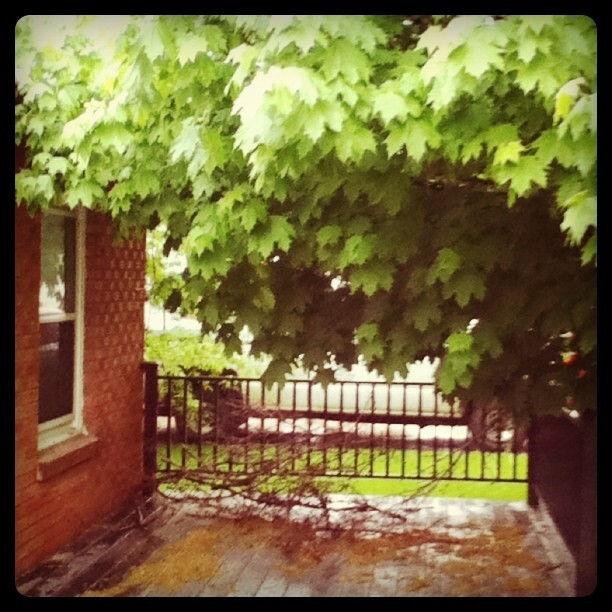 On Sunday our Maple tree initiated its plan to eat our house. Also, we moved to Seattle. At least as far as I could tell we had. 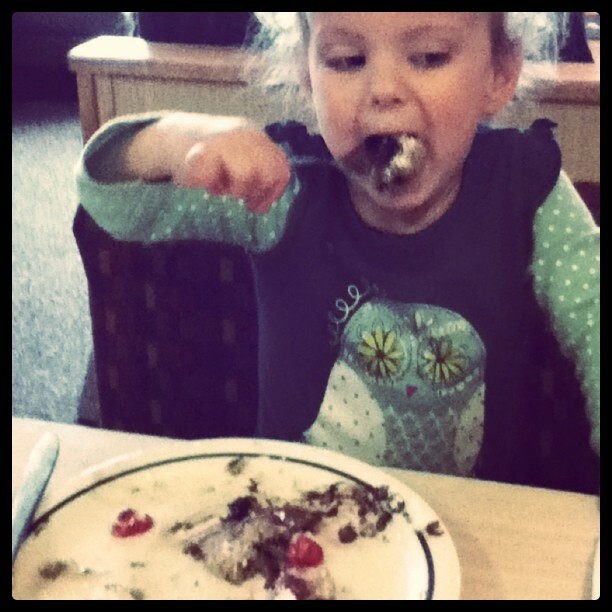 and then hollered back on some chocolate chip pancakes from Ihop. As you can see it was a successful/exhausting weekend. I imagine it is tough being the lone princess in a family, but our Z-cakes seems to handle it with grace. And whining. She whines a lot too. I love iPod pics! It!s everywhere you are and the moment doesn't pass you by because you're off scrounging for your good camera. Sometimes the memory of that moment us more important than the quality of the picture. 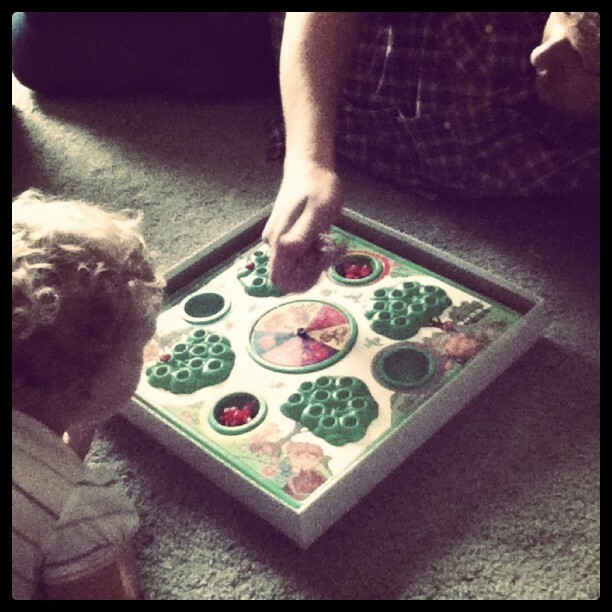 Our favorite game when we were wee ones was "Operation" . The blood and gore never bothered us kids.P.S. I would love a chicken update. They change so much these first few months. Do they love their hut? I love that photo with the upside down tiara. Adorable! Speaking of Hi Ho CHerry-O, I think I was vacuuming up rogue plastic cherries at my mom's house well into my college years. Awesome game. And high five to the Little Miss on her tiara. It goes with everything, obviously. The iPod self-portrait is amazing. 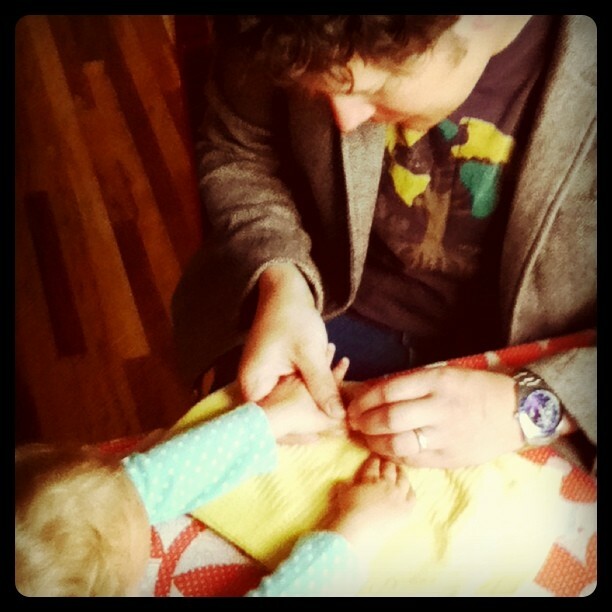 Timm always paints our girls' nails too. And Bella has that owl shirt too. And I would like chicken updates as well. 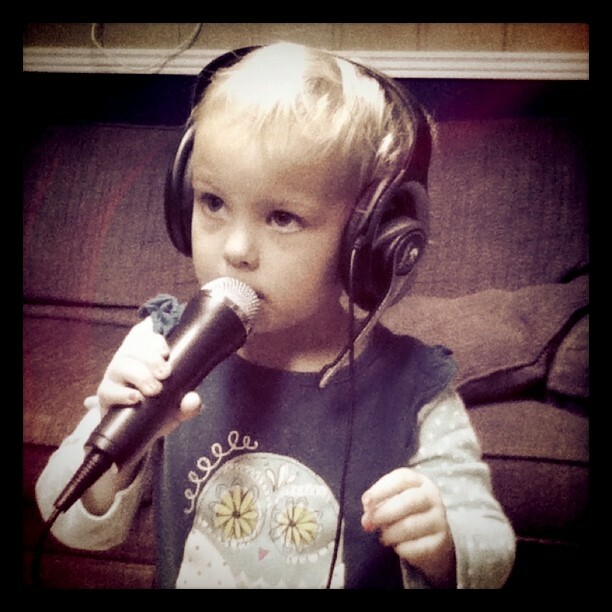 Man, I bet our kids could put together quite the rendition of "Livin' on a Prayer" — it's the Pyper boys' favorite song. :) We're raising them the right way over here. 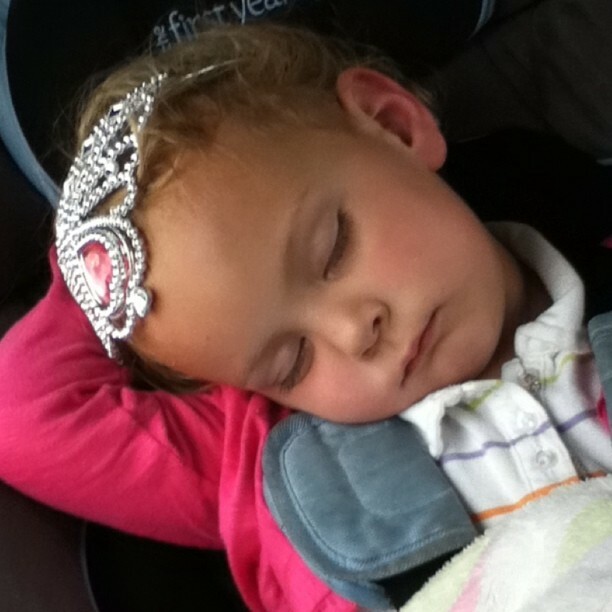 Oh my goodness, that last photo of her sleeping with the upside down tiara is just precious. Those rosy cheeks! Can you believe I have never played Hi-Ho Cherry-O?